Welcome to our final day of our Anniversary Release Week! 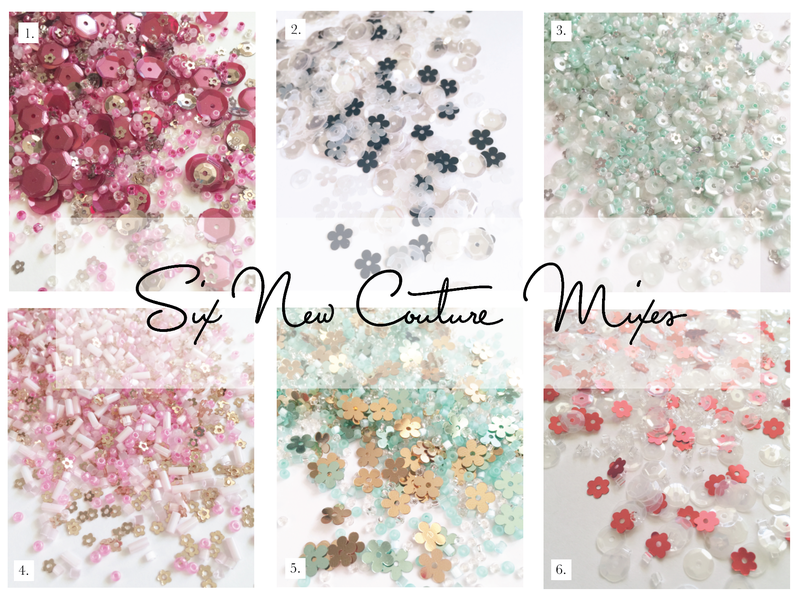 We are so excited to feature the remaining four stamps and six Couture Mixes in our Release. Our new Haute Wedding Dress just screams couture! You can stamp the figure alone or embellish her dress with the coordinating floral designs within the set. Stamp it in your favorite dye ink or heat emboss the floral motifs for a couture design every time you stamp this set! 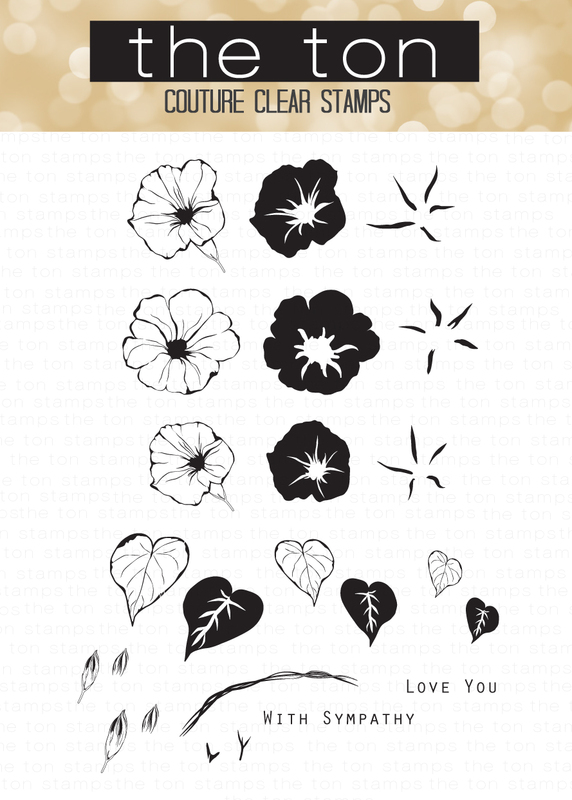 Our new Wild Morning Glories can be layered together or you can stamp the outline image and color with your favorite coloring medium. This stamp set also come with a color printed layering guide. 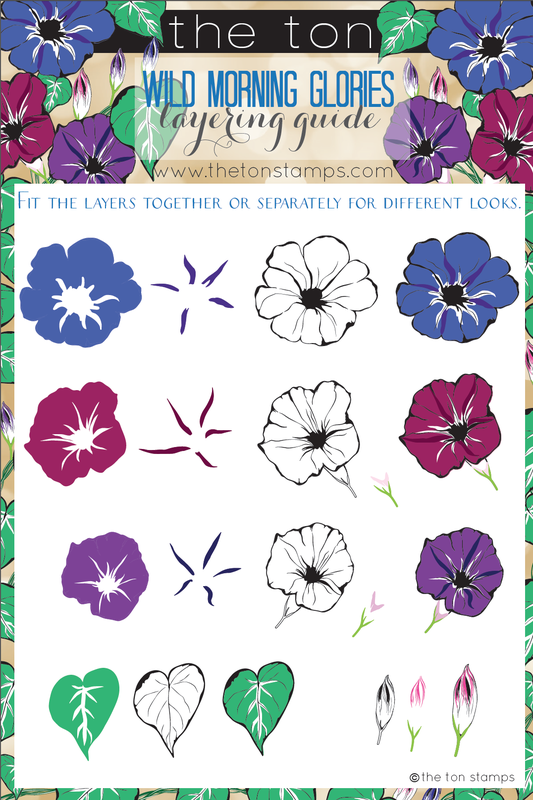 Color Printed Layering Guide for Wild Morning Glories, included with every stamp set. 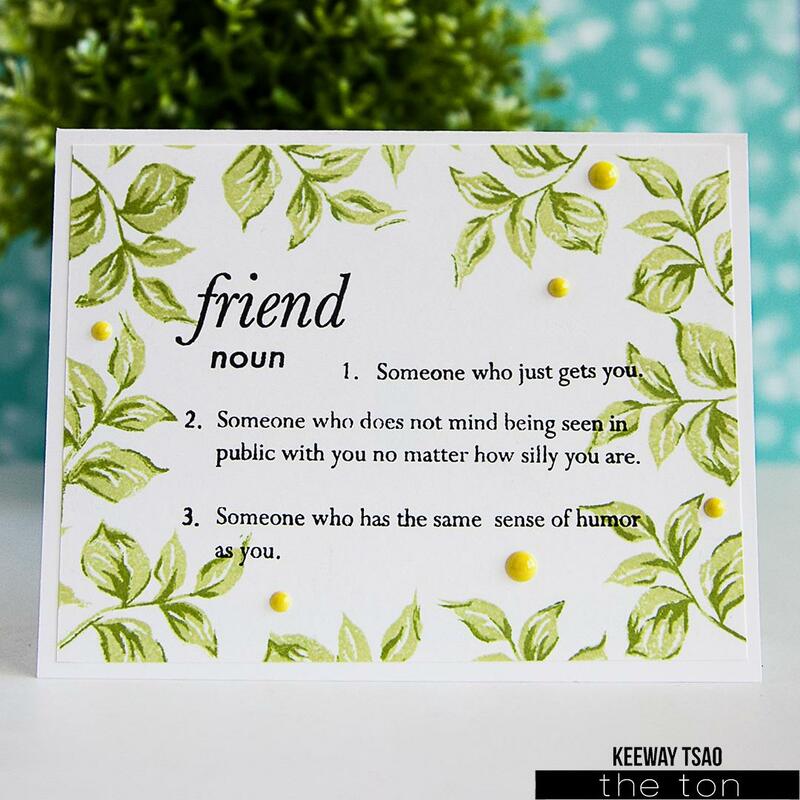 What is a friend? 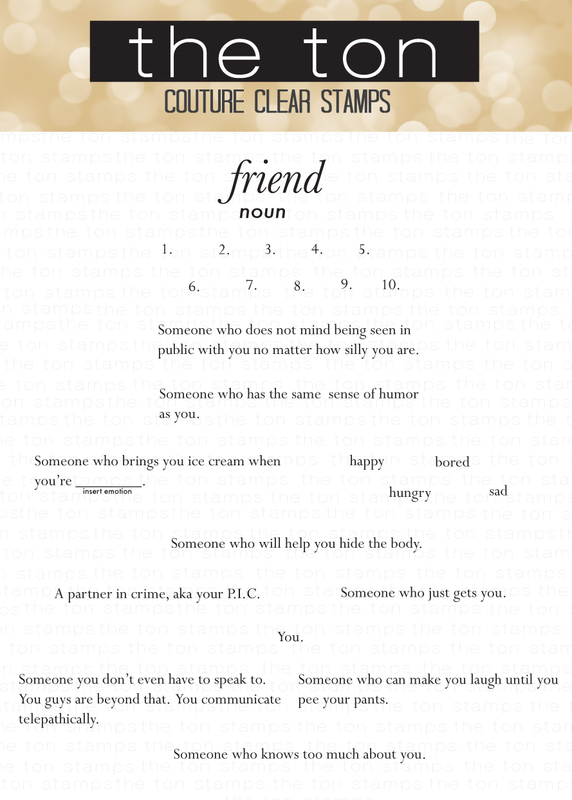 This set defines it for you and now you can stamp your favorite definitions and send it to your bff. Similar to our Friend Defined set, our Love Defined set expresses the different meanings of what it means to be your significant other. Those are the remaining stamps and gilding from our new release! Everything is now available for purchase in our shop. Before you go, check out the inspiration from our design team using today’s featured stamps. All of our DT members have more detailed posts on their blogs so be sure to stop over their blogs as well! Emily created a beautiful partial lattice for her Wild Morning Glories. Her bright pink is a great color contrast to her stark black background making her florals pop just a little more off her card. 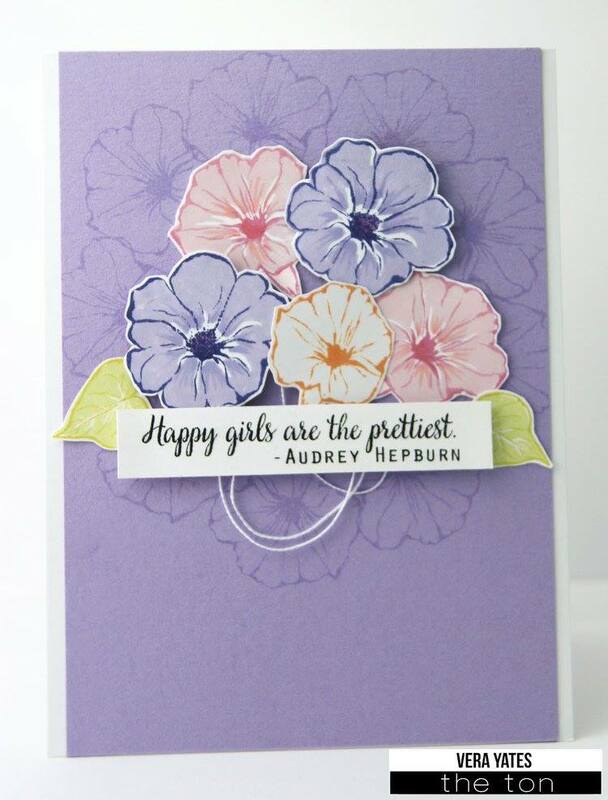 Vera’s next card is super pretty with her cluster of wild morning glories. 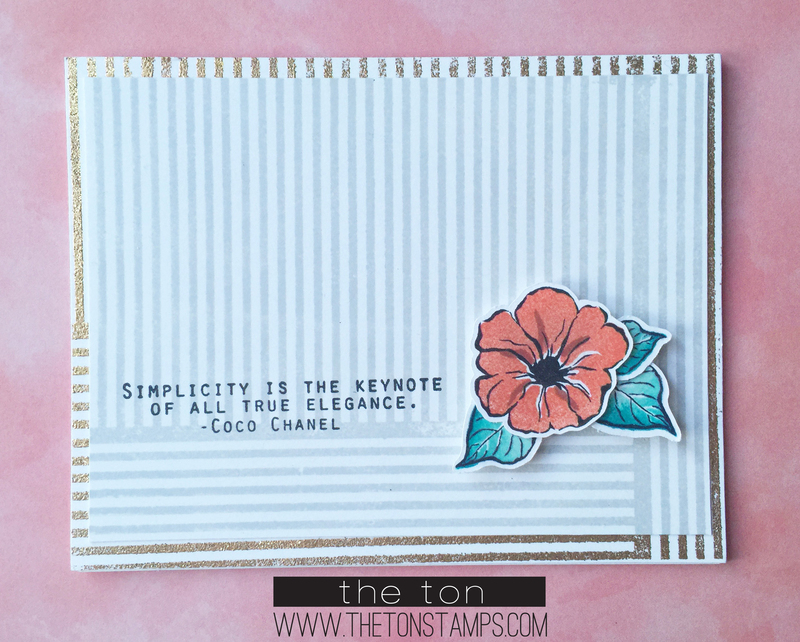 That tone on tone background of morning glories creates great interest and makes the cluster a beautiful focal point of her project! Next up is Jess‘ card. 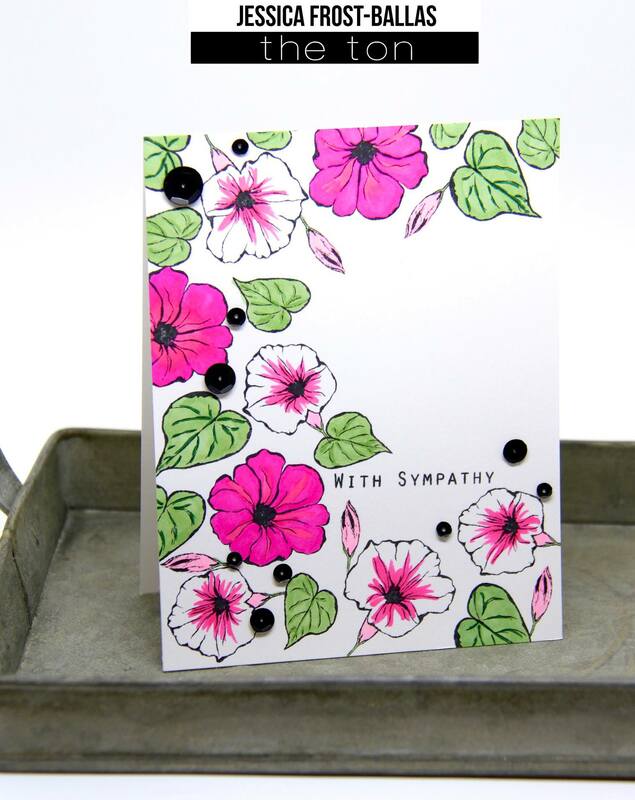 I love the graphic look to the card and the bright pink used on her florals. Next up is my card where I created a cluster of morning glories. I did some masking where I only stamped the petal. Then I stamped the solid layers within the outlines. Then I stamped the leaves in a rock and roll technique to add more depth. The Haute Stripes background and sentiment were stamped in our Rose Gold Bangle pigment ink. 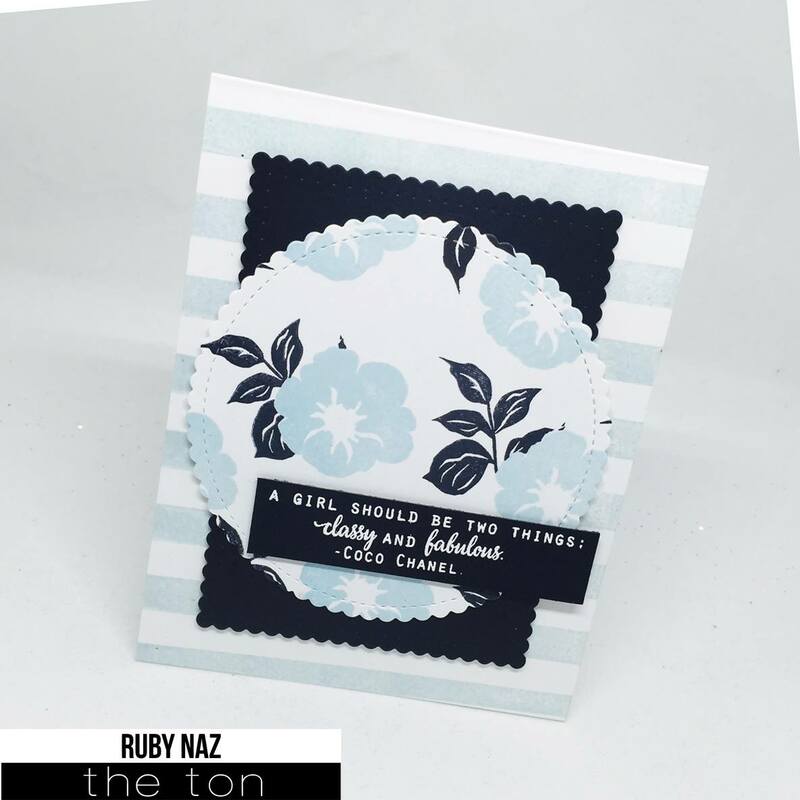 Ruby’s card is so pretty and interesting as she only used the solid layer of her floral to create a repeating background. I also love the masking she did with the leaf cluster from our new Fresh Cut Roses and stamped our new Haute Stripes background in matching ink. I made the next card where I stamped the background with our Rose Gold Bangle pigment ink using our new Geometric Lattice cling stamp. Then I tore a piece of card stock and blended the bottom portion with the same ink. Then I stamped the florals, leaves and vines from our Wild Morning Glories set. I took a rock and roll approach to stamping the leaves to give it more depth. Lastly I popped up the florals and leaves strategically to create a dimensional look to the project. Eunji’s morning glories look so realistic with her watercoloring! 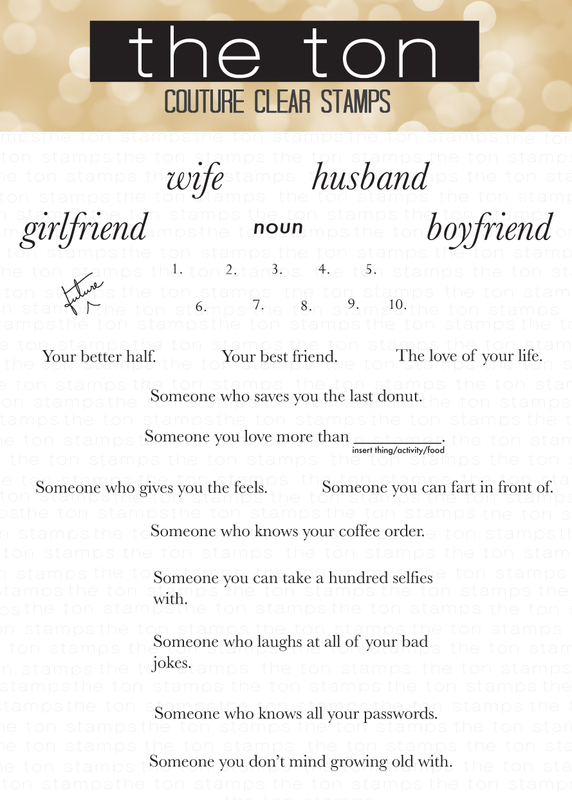 The sentiment is also from our new Love Defined sentiment set. 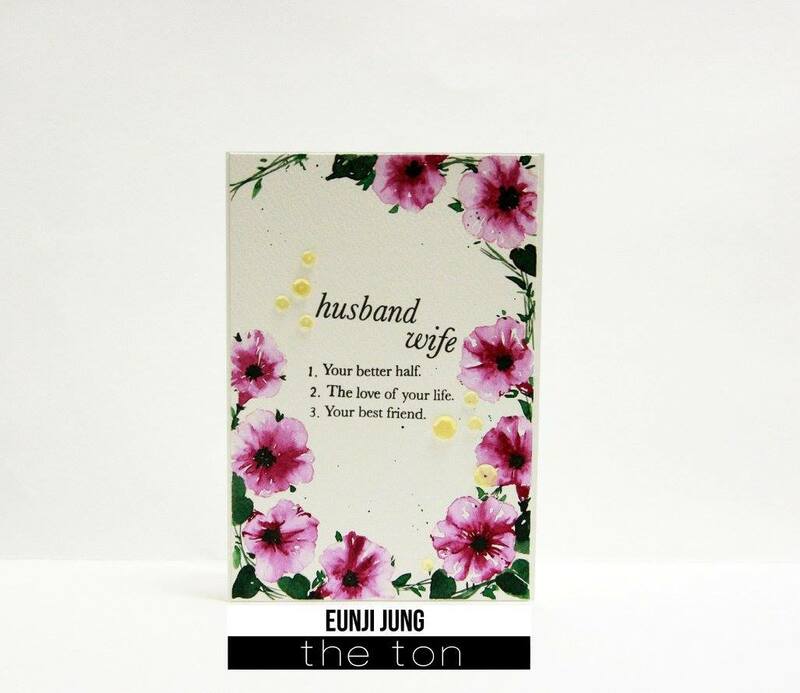 Eunji’s next card is also artful as she took her stamping directly over her coverplate die cuts with her morning glories. 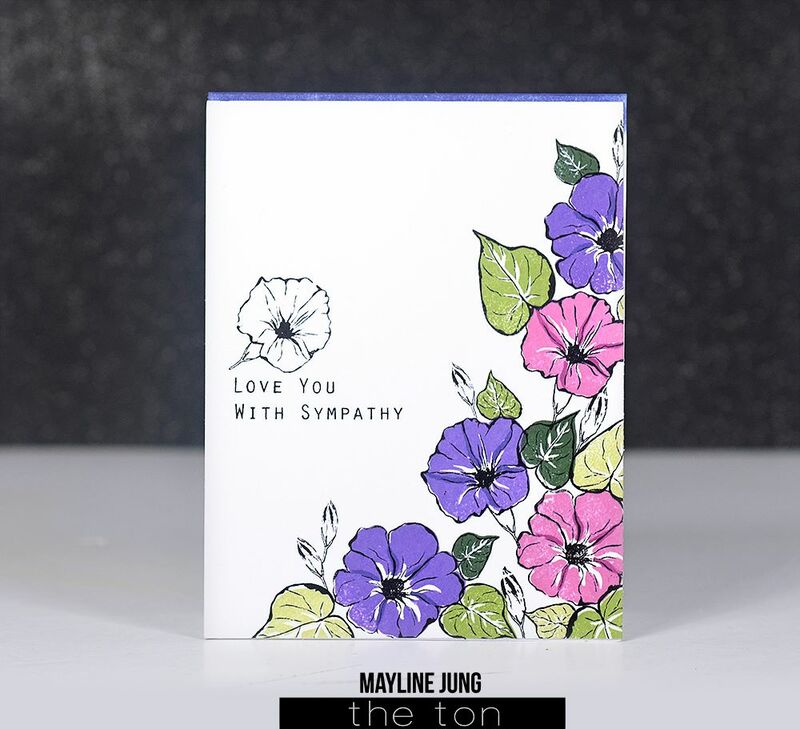 Mayline’s next card is graphic and bright with her side cascade of wild morning glories. For my next card, I stamped our new Stripe Addict background stamp on cardstock using our Couture Collection Crystal Pewter dye ink. Then I heat embossed the base with gold glitter embossing powder using the same background stamp. Then I separately stamped the outline of the floral using our Noir dye ink and stamped the inside of the floral using our Corraline hybrid ink. After I stamped the sentiment, I cut the floral and leaves and popped them up on the gray striped card panel. Mayline also created a matching backdrop using our new Stripe Addict background stamp for her next gorgeous floral card. 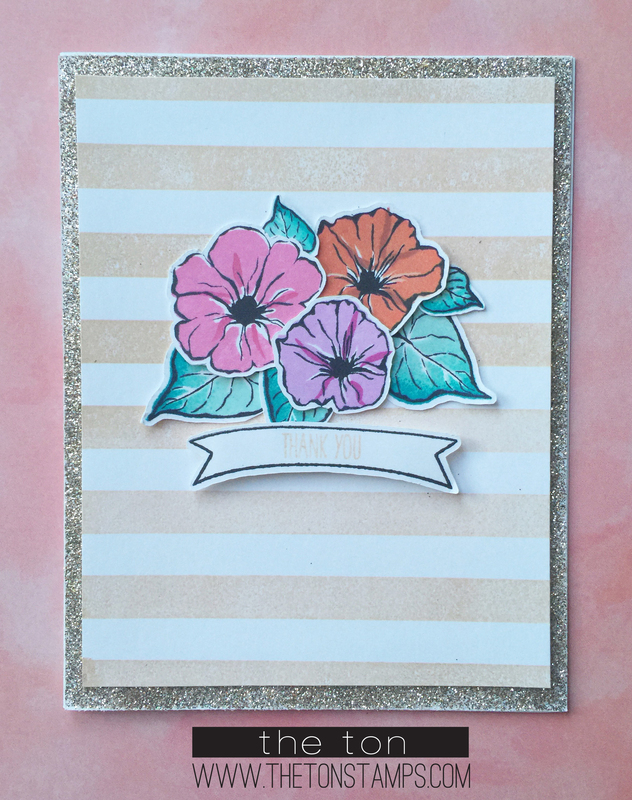 Next up is Keeway as she used only the solids of her Wild Morning Glories to stamp a bright and adorable background. 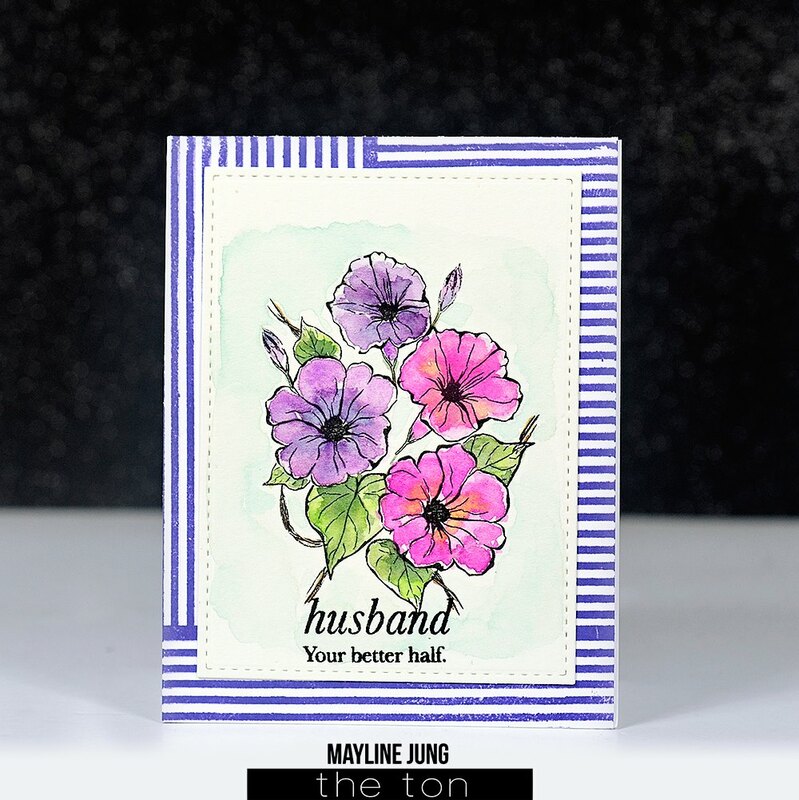 Mayline’s next card is soft and pretty with her pastel toned stamping of the outline images of the Wild Morning Glories. Her Love Defined sentiment is just perfect over her project! 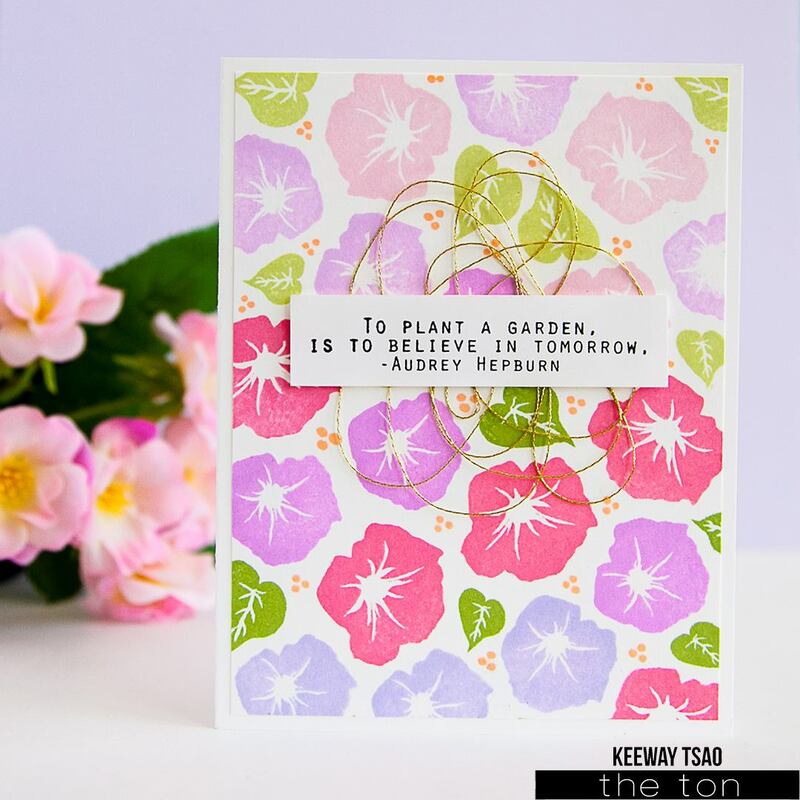 Ruby’s card is a gorgeous background of wild morning glories and her color palette is on point with the pink, gold and black tones. 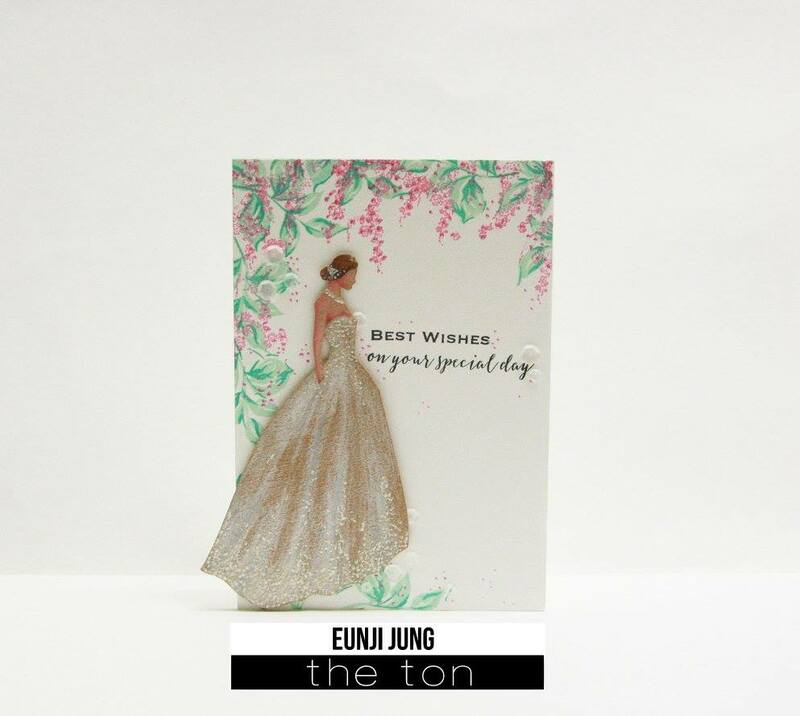 Eunji’s next card features a perfectly painted figure from our Haute Wedding Dress set. I especially love the overhanging greenery and flora which she created using the floral detail stamps in the same set and the leaf cluster stamp in our Fresh Cut Roses set. 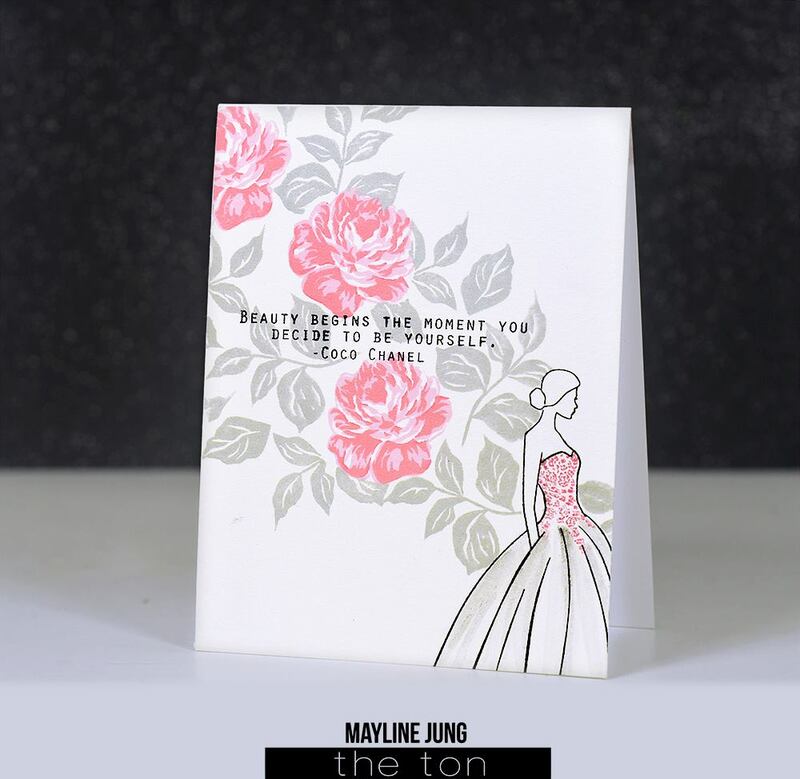 Mayline’s card is serene and beautiful with her backdrop of roses from our Fresh Cut Roses. Her masking in this card is so effective! 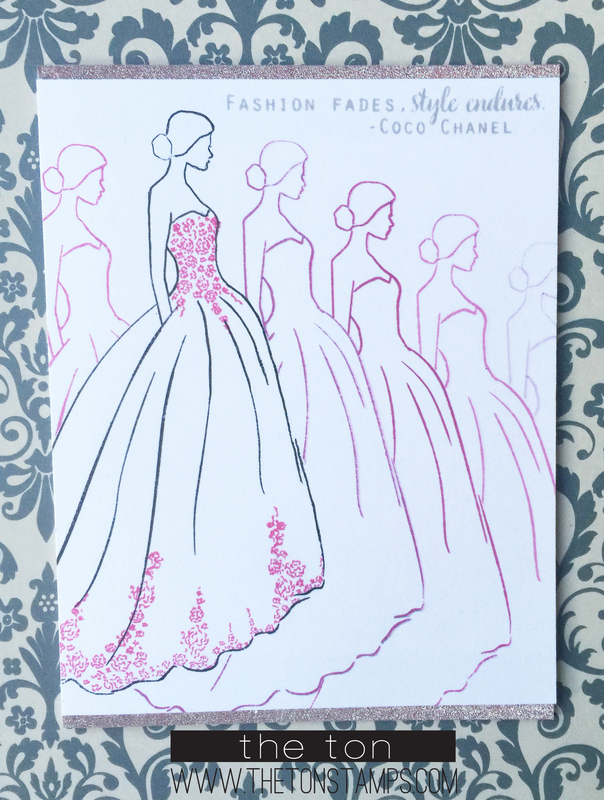 Emily’s card is feminine and beautiful as she combined our new Haute Wedding Dress with our Fresh Cut Roses set. 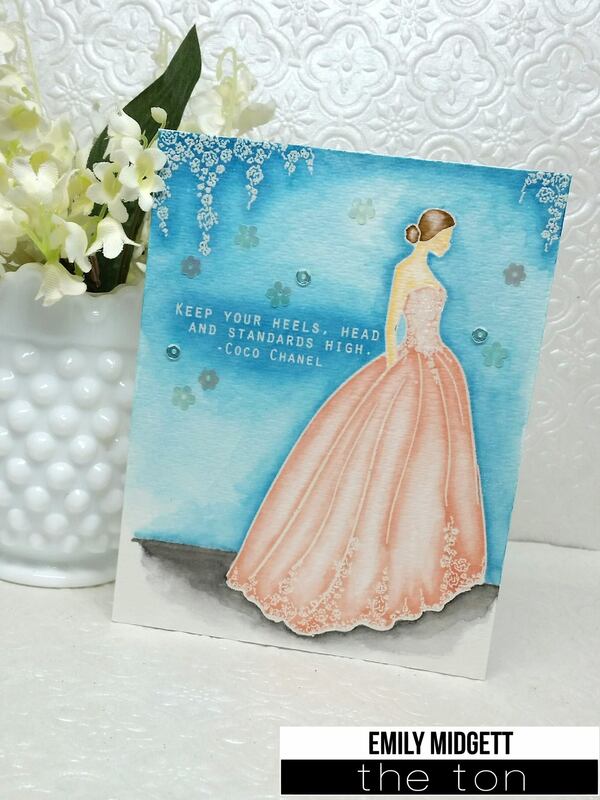 Emily’s next card is beautifully painted as her figure looks like it is glowing off her card! 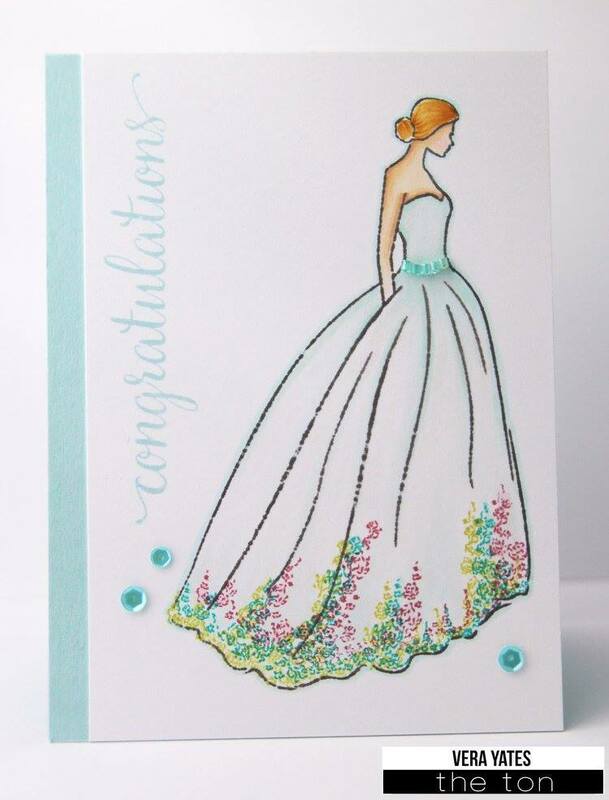 Vera’s next card is a beautiful wedding card. I love the multi color floral detail in her dress! 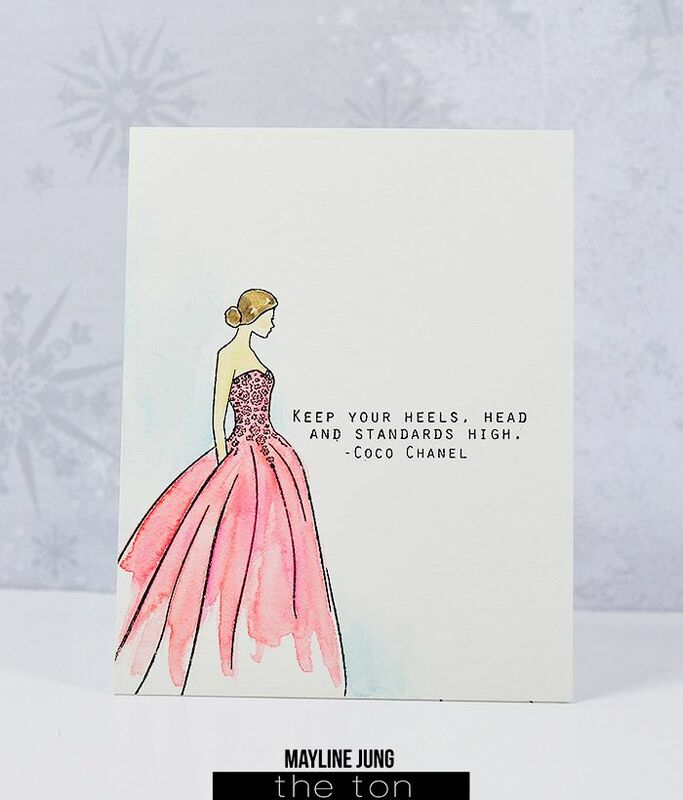 Mayline’s next card fits a non-wedding theme when you pair up the Haute Wedding Dress with a sentiment from our Timeless Icons set. For my next card, I stamped the Haute Wedding Dress in Noir dye ink. Then I heat embossed the floral detail on her dress. Then I took a craft knife and cut around the top portion of her body. I cut out the negative but kept the bottom portion of the card. 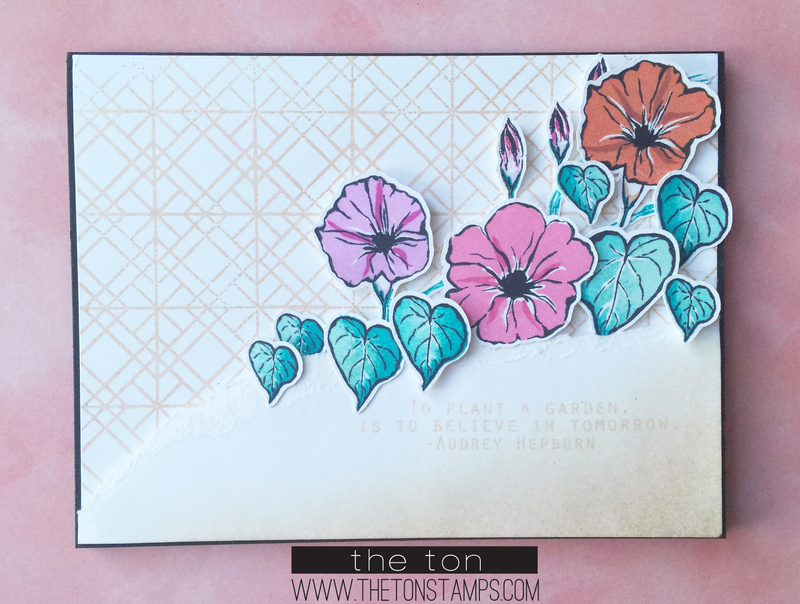 Then I heat embossed the base using our new Morning Glory Garden cling background stamp. There is a lot of depth to this card! For my last card, I stamped the figure in black. Then I masked her off and stamped the above figures to the left and right of the main figure. 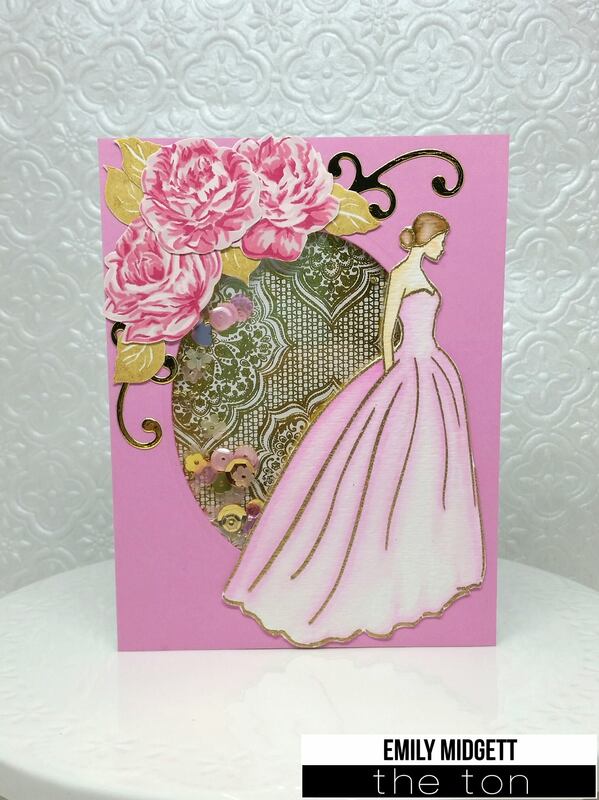 I wanted to create an ombre or fading effect with this card which I was able to achieve using my Peony Collection inks. Mayline’s next card is adorable! 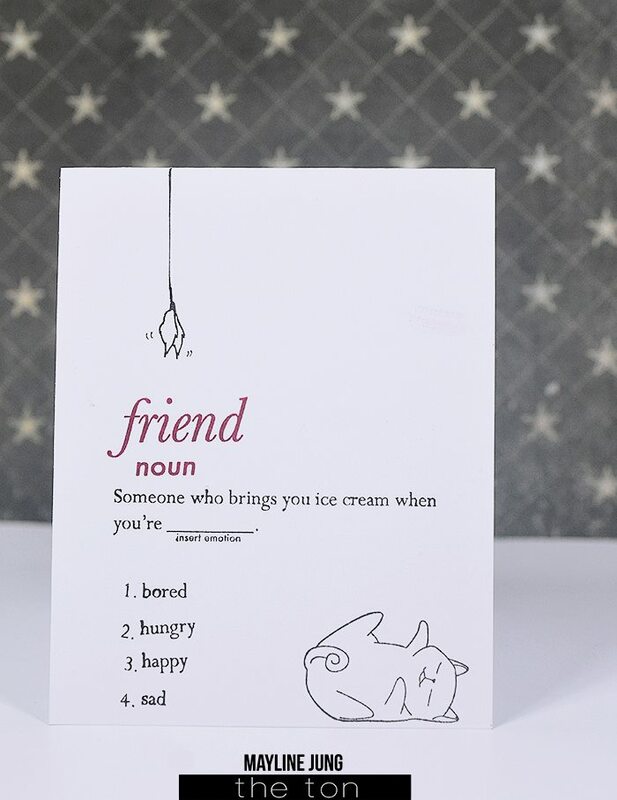 Hopefully we all have a friend who will bring you ice cream hen you bored/hungry/happy/sad. 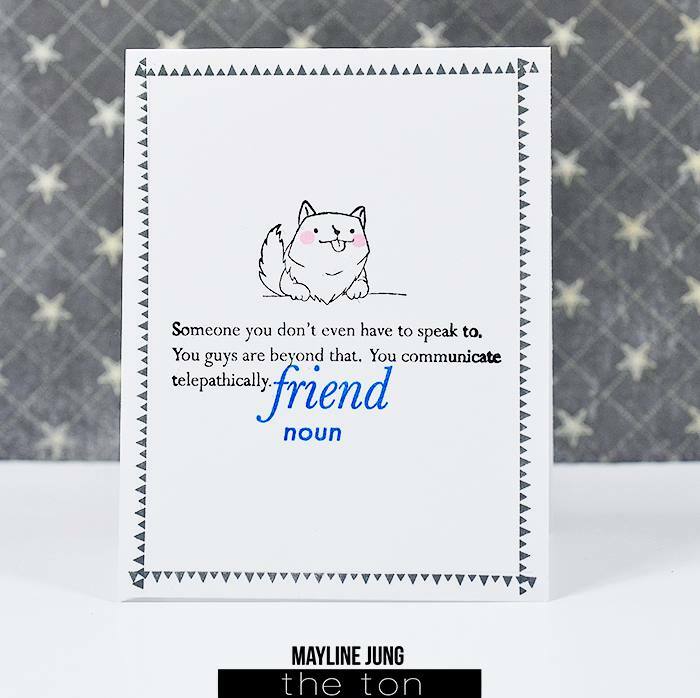 Mayline’s next card is just adorable (and so true!) because your dog is your best friend. 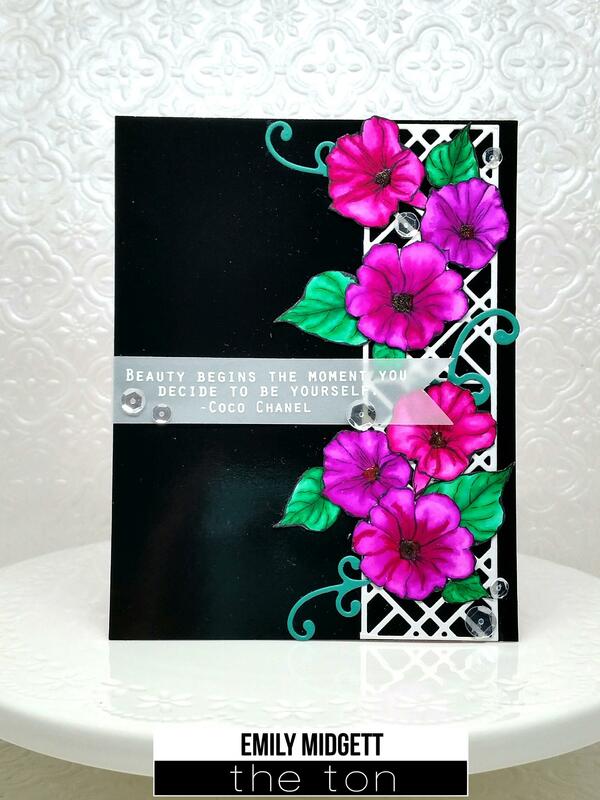 Lastly, Keeway created a beautiful leafy border with the stamps from our Fresh Cut Roses set to create a serene friendship card. I hope you enjoyed the gallery for today and found much inspiration from our DT members’ cards. 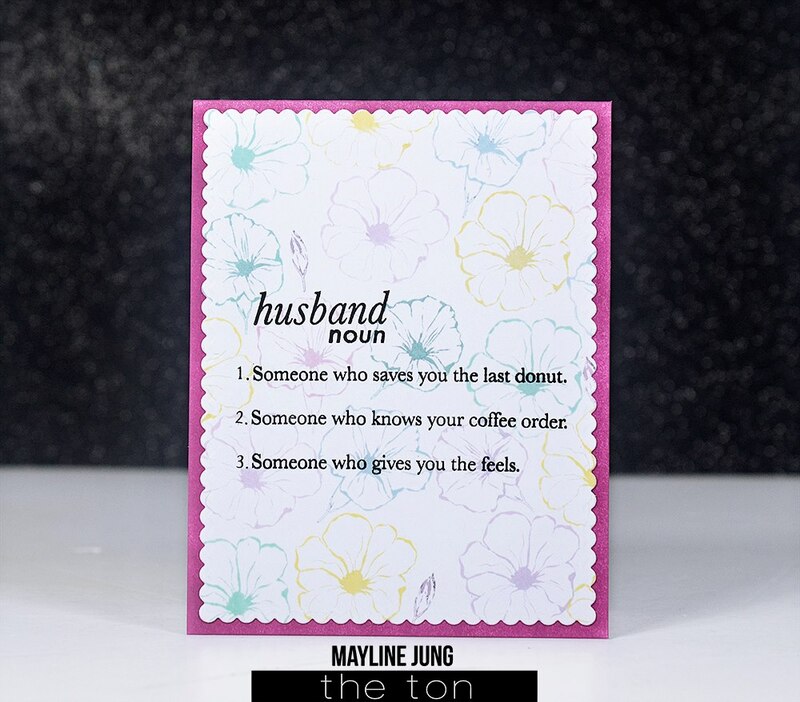 All products (17 stamps, 2 dies and 13 Couture Mixes) are now available for purchase in the shop but remember to leave a comment here for a chance to win one of four $15 gift certificates to our shop. The deadline to leave comments is Sunday, January 17, 2016 by 11:59pm (EST). 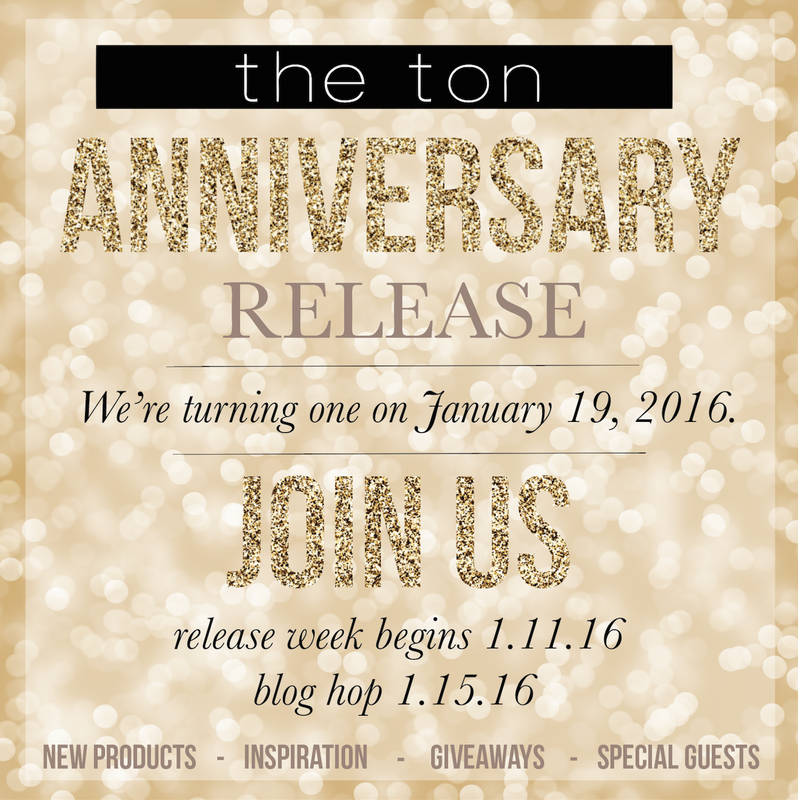 I also hope you’ll join us tomorrow for our Anniversary Release Blog Hop! We’ll have additional giveaways and prizes. The hop will begin here tomorrow. Stop by to see the full line up of guests! Thank you, everyone, for celebrating our One Year Anniversary with us!! It has been an amazing year and we hope to deliver even more beautiful designs this year! If you’re ready to shop our new release, everything is available for purchase now! These sets are awesome! That wedding dress is stunning!!! And the definition sets are soooo fabulous!! the wedding dress is so elegant and i love those sequins mixes! Fabulous release…that wedding set is so beautiful! Beautiful stamps and lovely sequin colors! I love all of the couture mixes and the wedding dress. gorgeous stamps and cards! LOVE the morning glories!! What a fabulous hop around the DT blogs! 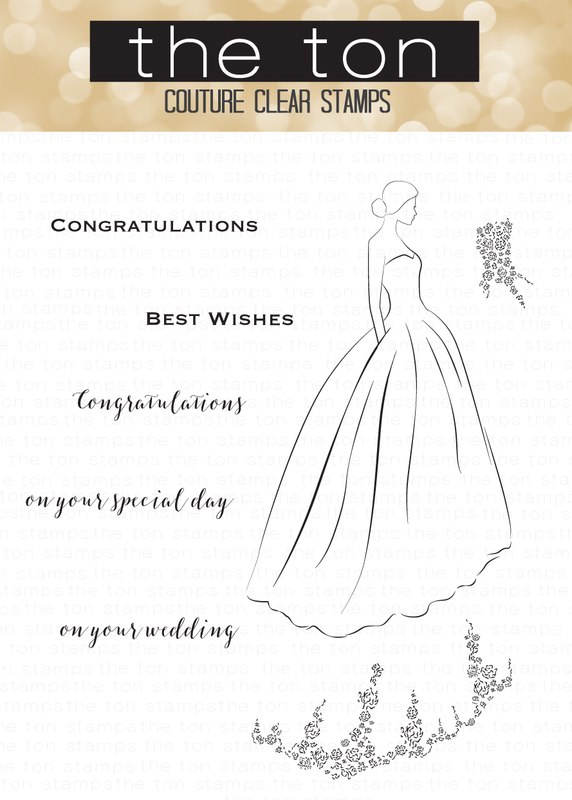 I love your haute couture wedding dress stamp – just gorgeous!!! Love all the products shared today. 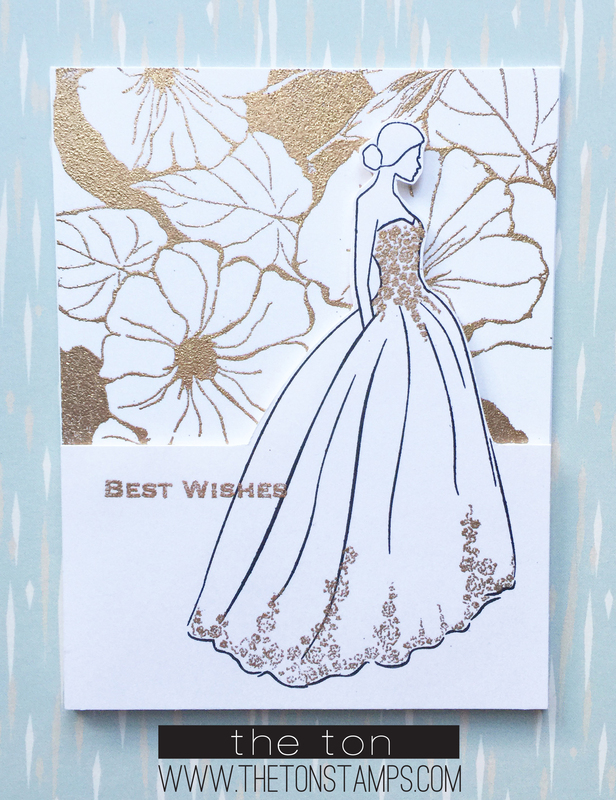 The cards I’ve seen created from the wedding dress stamp are simply stunning! I don’t do many wedding cards but that stamp set is fabulous! Wow each day has been a delight to my crafty soul. This selection of stamps and mixes are beautiful. I’m in love with the morning glory set, brought back some happy memories, and the friend defined set. Love the wedding dress, not sure how often I’d use it but its on the must have list also. All of the cards are amazing and beautiful. Those sequins are so pretty! I know where I’ll be ordering mine from. The cards are stunning! What a beautiful wedding dress and the sentiments are fantastic. And all those sequins look delicious!!!! What a great release this is! I love the morning glory’s and the wedding set is great. The cards came out all looking stunning! Great inspiration! Happy Anniversary! Oh, and I need those sequins…I’ll be ordering them shortly. Wow, wow, wow! I learned of your company through the Stamp of Approval box and oh my this doesn’t disappoint!! Such a fabulous hop and stamp sets re so beautiful!! LoVe those beautiful new mixes and the morning glories. Thanks for sharing. Can’t wait to get my hands on all these goodies!! Love the new stamps! They’re so beautiful and have so many possibilities! The new stamps look darling! I love the look of the wild morning glory! I’m so thrilled about these new products!! These new stamps are simply must-haves!! All these amazing new products are definitely going into my wishlist! This was such a great blog hop. This release is awesome….everybody’s creations are so inspiring. The morning glory set is my favorite…along with all of the sequins. Nicely done! Beautiful cards!! Love the Haute wedding dress!! Its gorgeous!! Wow need this stamp set! The wedding dress has my heart! PLEASE make a coordinating die!!! !